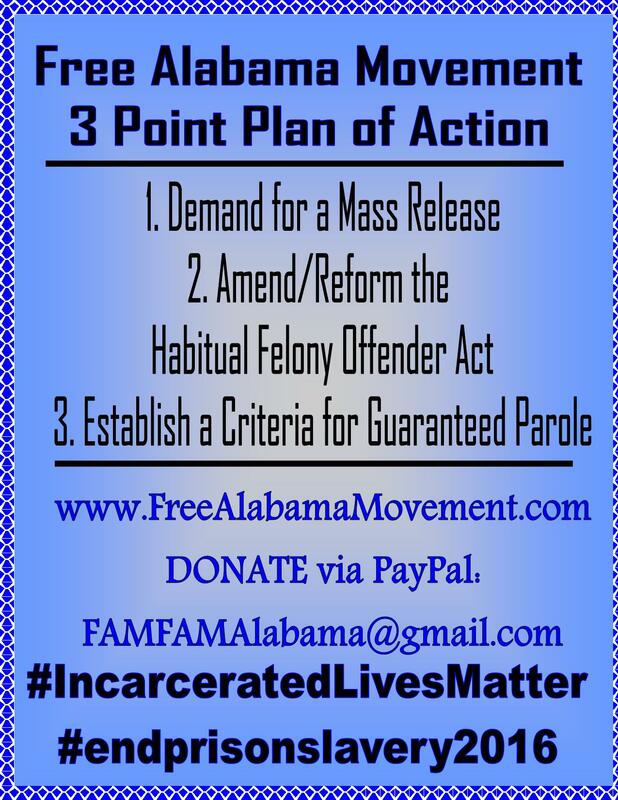 Free Alabama Movement is planning activities around our Three-Point Plan of Action for the remainder of 2016. 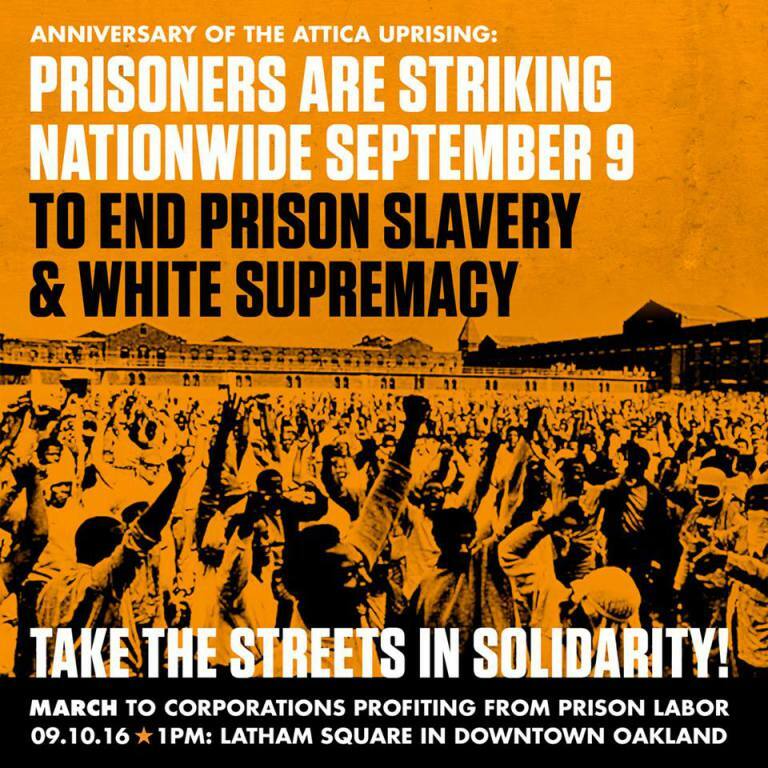 We will be promoting this plan in conjunction with preparations for the September 9 Attica Anniversary Protest events around the country. 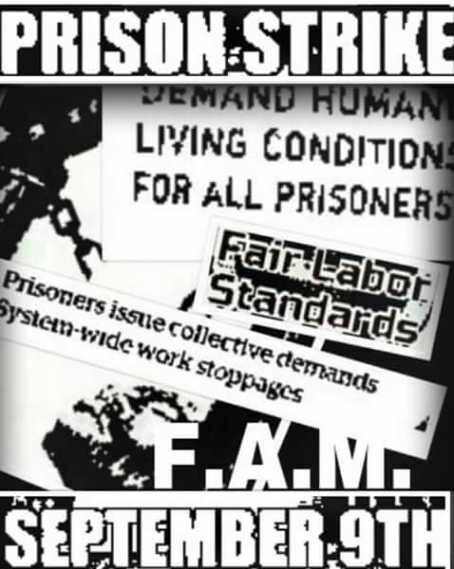 3) Establishing “automatic” or mandatory parole criteria that will remove discretion from the parole board in parole decisions for qualified individuals. It is essential to the effective implemention of these objectives that we step up our organizing and activism, esp. around the State of Alabama. 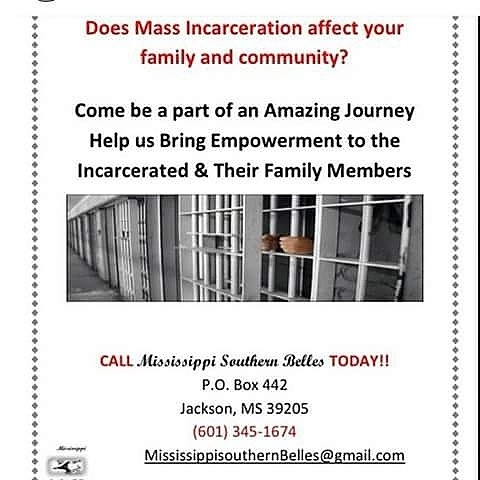 This will include participation in the FREEDOM TOUR 2016 protests that are being scheduled and lead by Mothers And F.A.M.ilies, Inc., as well as the event being scheduled in Dothan, Alabama on August 27, 2016, by The Ordinary People Society. 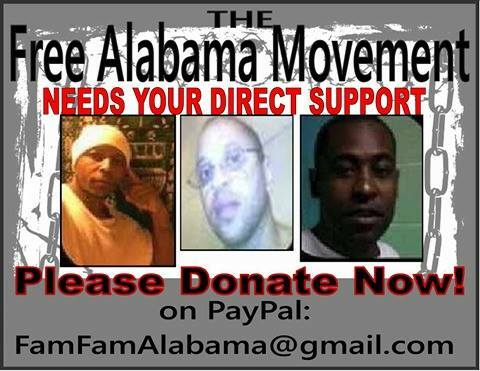 The FREEDOM TOUR 2016 will be conducting protests statewide and conducting at least one demonstration at EVERY prison in the state of Alabama, to organize and then mobilize families and to bring awareness to the problems plaguing the Alabama prison system and the solution to these problems. 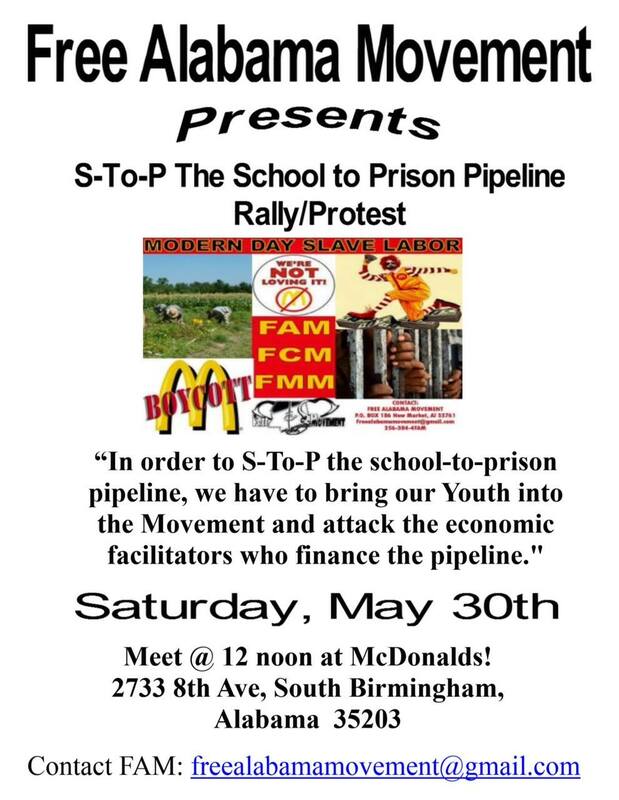 Join us today in this struggle for freedom and justice mobilize Alabama and join the National Freedom Movement to End Mass Incarceration and Prison Slavery. 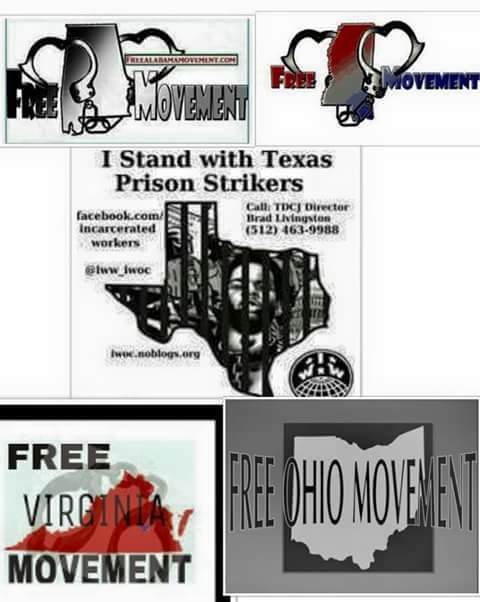 This entry was posted in Free Alabama Movement (FAM), Freedom Tour 2016, Prison-Industrial Complex, protests, September 9 Attica Anniversary Protest, Shutdown/Work Strikes at the Core of the Prison Industrialized Complex, Three-Point Plan of Action and tagged Freedom Tour 2016, National Freedom Movement to End Mass Incarceration and Prison Slavery, prison industrial complex, September 9 Attica Anniversary Protest, Three-Point Plan of Action. Bookmark the permalink. 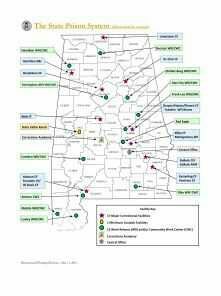 It’s pass time people realize Alabama prison problem is self inflected.. inmates are warehouses 20 .30 and up to over 40 years. Prison officials and many others think men are sent to prison for punishment. . News flash they were sent as punishment. 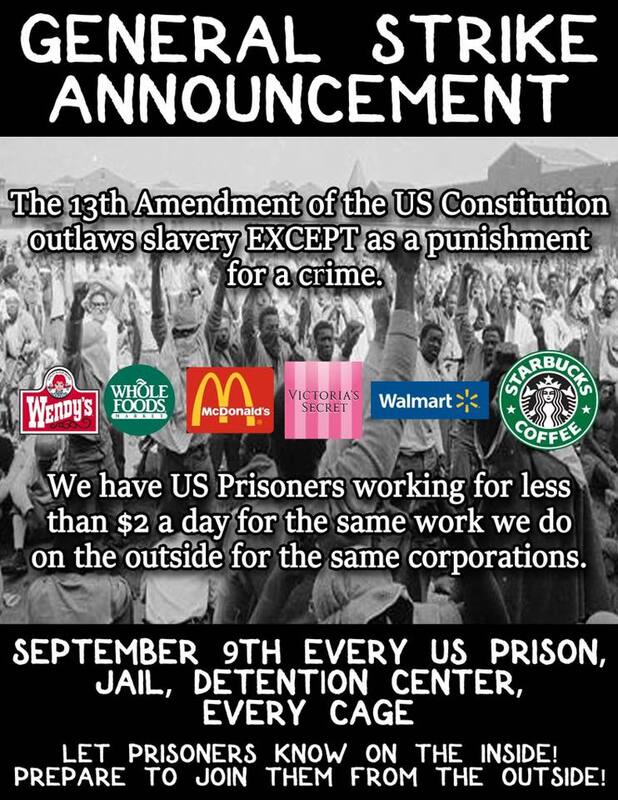 .Alabama thinks punishment should last for decades this is unrealistic. And barbaric thinking.